Cute red jumper and currently a bargain on the ASOS website. 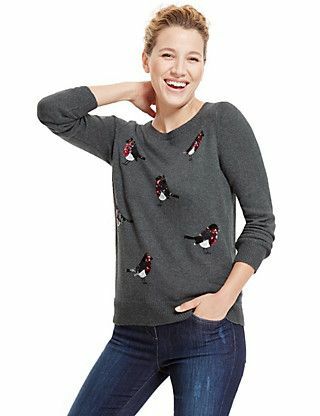 The early bird catches the worm with this festive jumper … Get up, get out and get online shopping! Novelty jumper a bit too much for you? 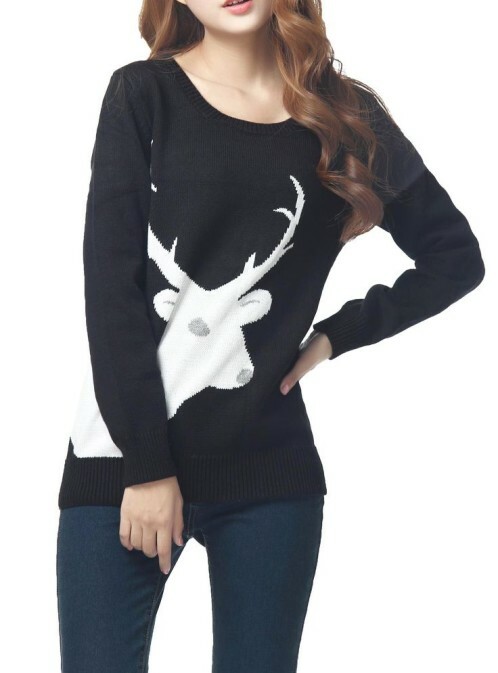 Then why not try this classy deer head number. 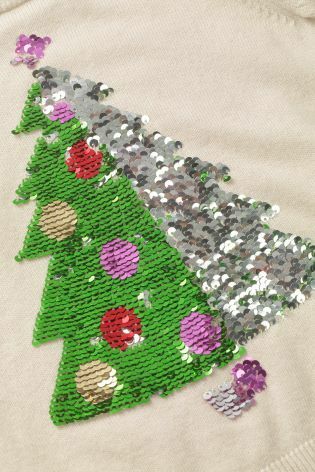 You can get involved in the Christmas jumper scene without wearing a baggy Santa number. 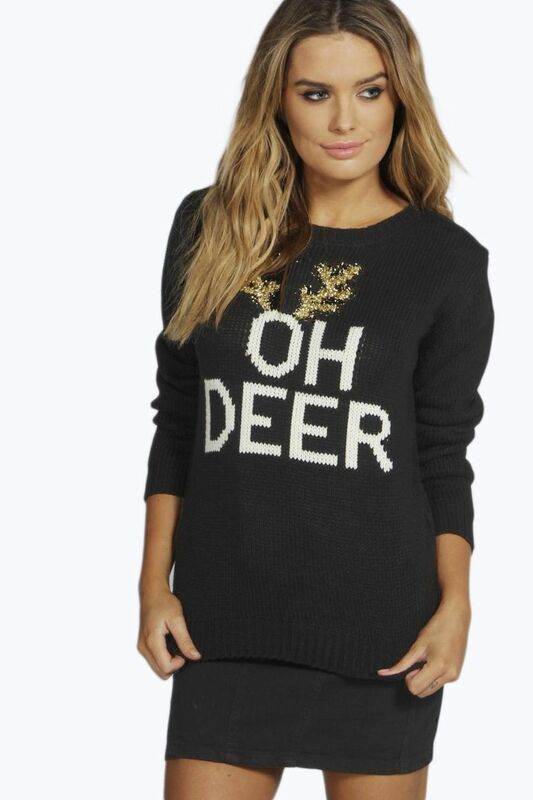 This long line Christmas jumper is a winner. It is super cute, ideal for curling up on the sofa in front of a warm fire. It will brighten up any seasonal collection. Team it with jeans and a casual coat for effortless chic. 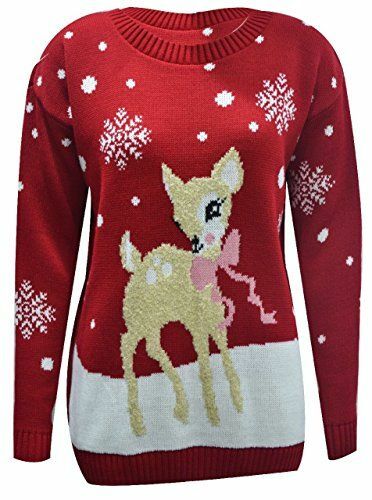 The jumper is red with white snowflakes and features a shy endearing Bambi. Wear it and you will both be centre stage!